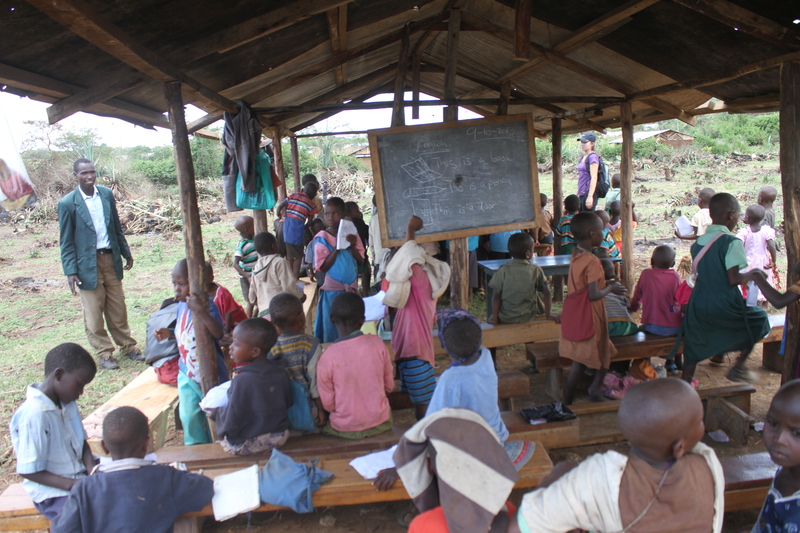 The current makeshift school in Lemolo. We are very excited to begin construction on yet another school today! 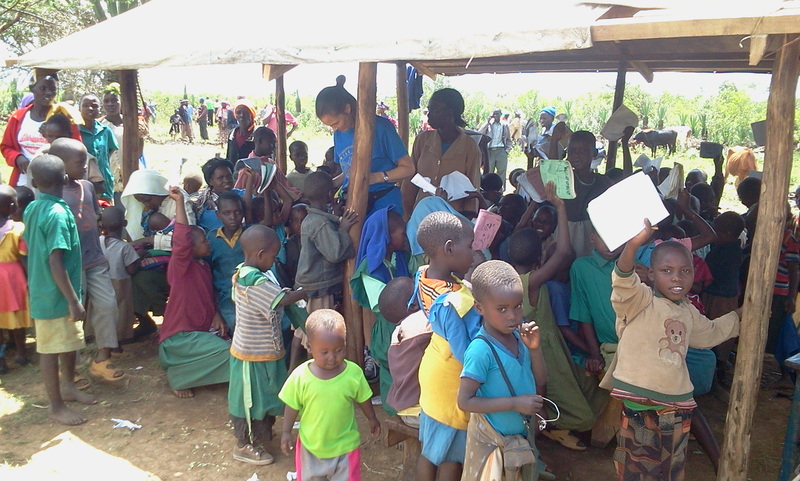 The 378 school-aged children who live in Lemolo, a community resettlement farm in Rongai near Nakuru, have been attending school outside, under the shade of a couple of trees and a makeshift shed shelter. Currently the nearest school is 6 kilometers away, making it a 12 kilometer walk – much too far for these small children, especially during the rains. The current classroom in Lemolo. VICDA is, once again, partnering with World Teacher Aid, the Canadian organization behind Shalom Primary School and Springs High School to construct 2 new schools in Lemolo. Like the residents of the Giwa IDP resettlement camp, these children have gone without proper education since their displacement at the end of 2007. Many of them have never experienced an actual school and this addition to the area will be a big step forward in the Lemolo community. I am a resident of lemolo. We are proud of the projects that VICDA,WTA and GVN are doing for us. You are making life possible for us in this remote place in Kenya. The ongoing primary school and pre-school constructions and the water project that will start very soon are the work of your efforts as volunteer and charity organisations. On behalf of the leadership of lemolo community and the community at large I pledge you our cooperation and commitment to see that the projects are succesful. Thank you for your kinds words, Korgoren! The cooperation of the community is vital in these projects and we are so glad we can all work together toward a common goal.